Years ago when I first started advocating for wild native fish I helped found a now defunct small and focused non-prof group called Dud Dean Angling Society (DDAS) in honor of Maine author Arthur Macdougall’s fictitious Maine Guide, Dud Dean. In 2006, we published a report on Maine’s controversial splake stocking program. Our goal was to show anglers, advocates, and movers-and-shakers how much the program had grown, where it was being done, and what the risks were. 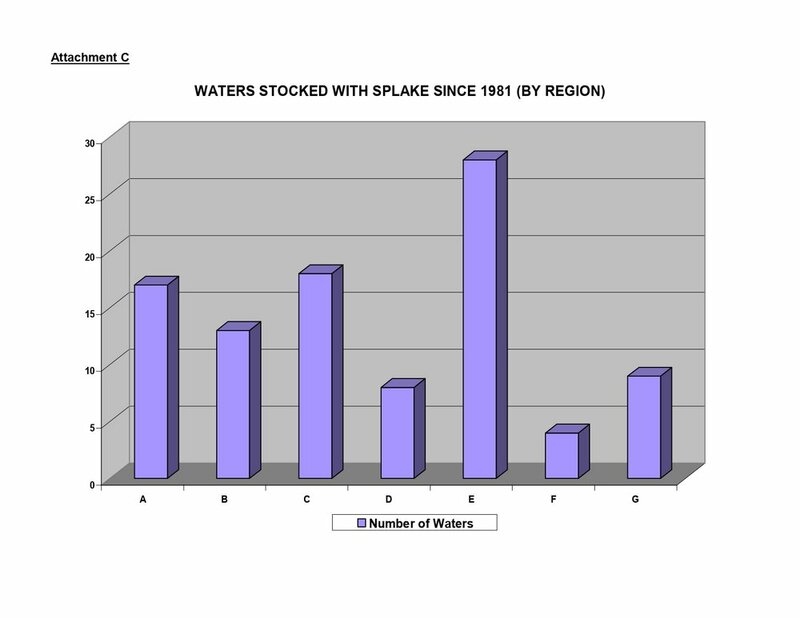 While one poll after another showed that anglers rated splake below brookies, salmon, lake trout, browns, rainbows, and even bass, as far as species preference goes, the program continued to grow in regard to number of waters and fish stocked. As the risks associated with stocking in general, stocking of highly piscivorous fish like splake, and stocking hybrids, are well-documented and nearly universally accepted, my focus here is simply how the program started and grew. That this happened in Maine, the single most important wild native brook trout state in the country is quite telling, and a warning to all that things like this can happen anywhere. 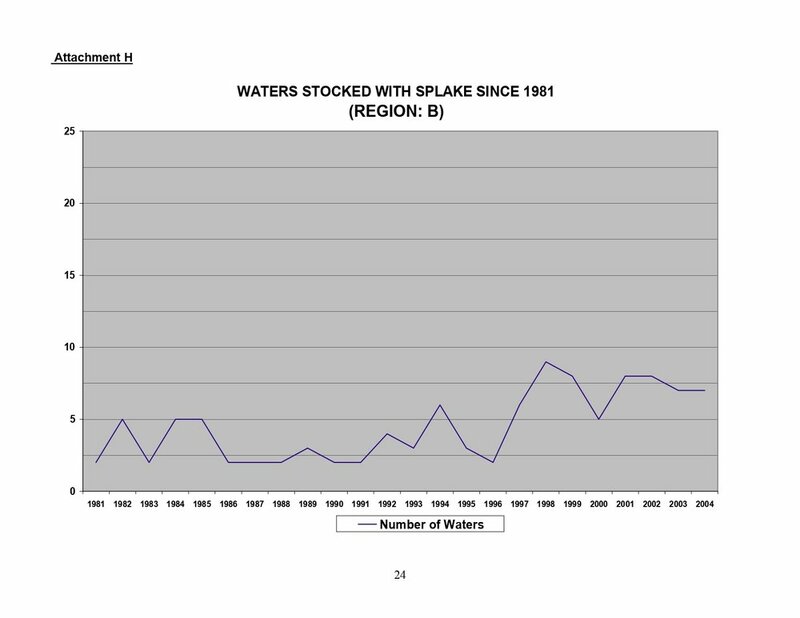 The number and distribution of waters stocked with splake in Maine shows just how bad things had gotten. 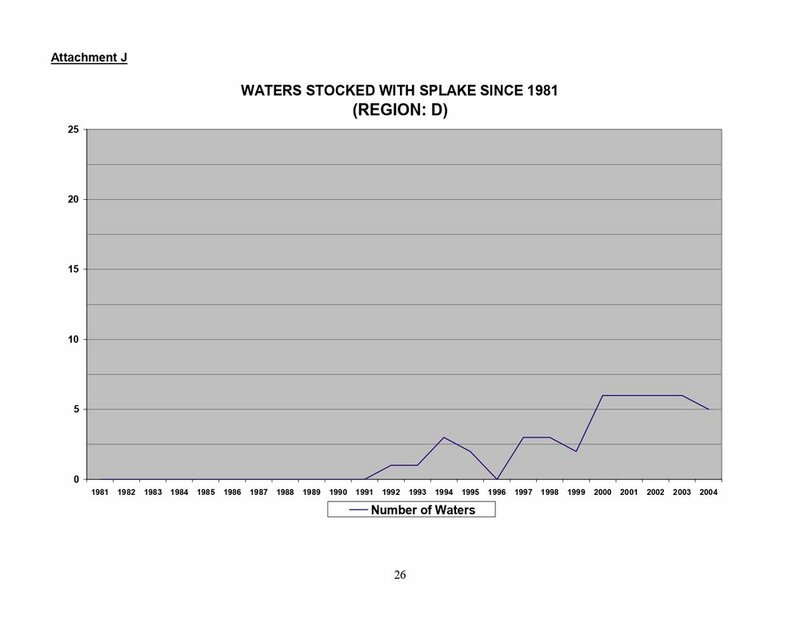 Note the drop in 1996. 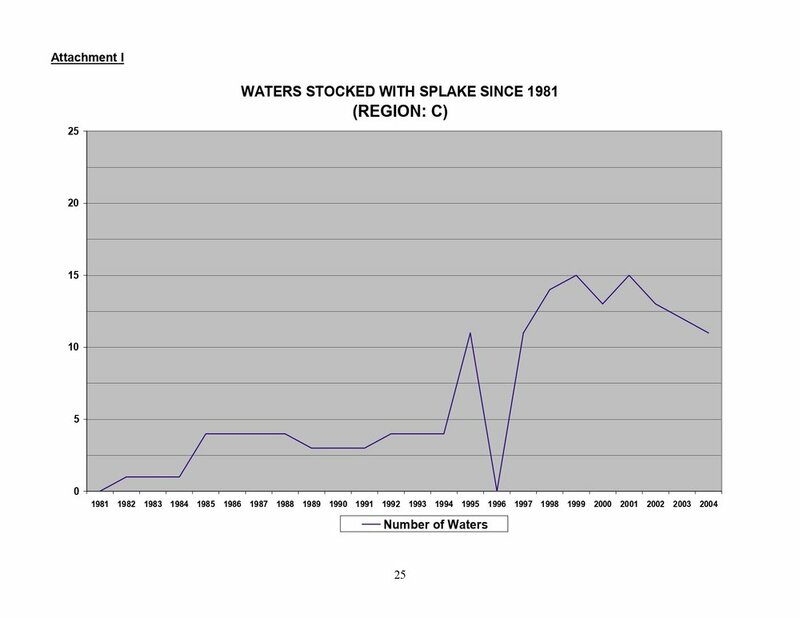 This was due to a near total loss of splake at the hatchery. Note that Piscataquis County is arguably Maine’s most wild trout rich counties. So there you have it… It doesn’t take long for things like hybrids can get out of hand. Could tiger trout, a cross between a brook trout and a brown trout be next? In your state?